During his long tenure at Madhouse, Kunihiko Hamada has contributed to many popular animation series. He teamed up with Director Morio Asaka on the animation adaption of "CARD CAPTOR SAKURA" (Animation Director), and "NANA" (Character Design & Chief Animation Director). 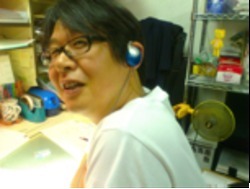 His other works as Chief Animation Director include, "ULTIMATE SURVIVOR KAIJI," "MORYO NO HAKO," "SUMMER WARS." Most recently, he joined forces with Morio again to adapt "CHIHAYAFURU" into animation.